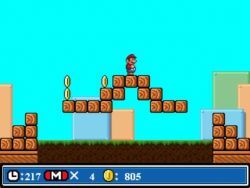 Super Mario in Unknown Worlds is a fun platform game based on that famous plumber. 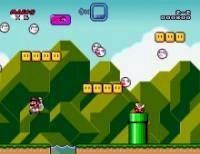 There are 8 levels that you will have to bounce through and then face the big boss, Bowser. 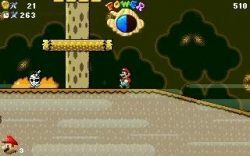 The game play is the same as just about every other Super Mario game on the market, except this one has the added flaw that there is no way to kill any of the enemies except the boss. 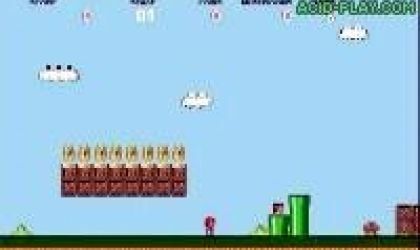 If you’re a Super Mario fan then this one’s for you. Even though it is only 8 levels long, they are 8 levels of fun and excitement! I thought that this game would be strange to play because you can't kill the bad guys but it just makes it all the more challenging. I liked it and believe me - I have played a lot of Mario in my day. Sure, it may not be like Super Mario Bros., but it's still a fun game. It's a good game to play when you're looking for something simple. It may not be as good as other Mario games, but it's still a good game. I recommend you download it. This game is terrible. The pace is way too slow, and you can't kill any enemies. I mean, what's the point of having different enemies if they all do the same thing? Bottom line: do not download this game, it's a waste of disk space. Strengths: You've got very big jumps and can build up your lives easily with coins and life icons. Weakness: If you touch an enemy, you die instantly and I find that annoying. It's a good game in all and I like the fact that you couldn't kill the enemies - that made the game much more challenging. This was sortof short but all in all it's fun. I didn't like this game, its way to boring. You cannot kill the enemies. This guy can jump! Way higher than he is supposed to! It's not worth the time of day.